On its own, chocolate is pretty great. 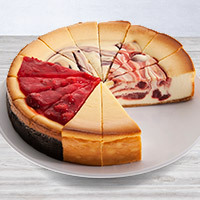 But we’ve taken it to the next level with this sampler comprised of Turtle, Triple Chocolate, Chocolate Swirl, and Chocolate Raspberry cheesecakes. 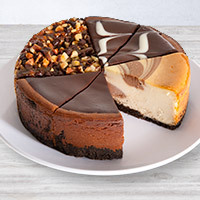 This delicious dessert gives the chocolate lovers in your life plenty of options they’re sure to fall in love with. I sent this to my niece just to cheer her up. she absolutely love it. 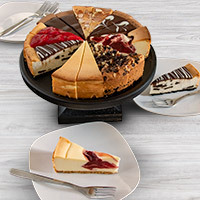 My family loved the cheesecakes. Also sent a gourmet gift basket to my hairdresser, but no response yet. The cheesecake arrived early morning and was wonderfully packaged in both a pretty box and then inside an ice chest keeping it cold. The cheesecake was fresh, creamy, in short, wonderful. The variety pack also meant something for everyone. I sent this to my daughter for her birthday. She said it was a wonderful surprise! The chocolate cheesecake was delicious! I sent this to my daughter at college for her birthday. She flipped over it! Her and her friends devoured it! The said it was amazing! She was so happy! 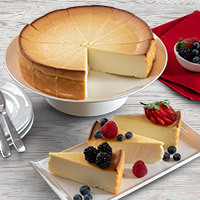 Wanted a well made, tasteful cheesecake and that's exactly what you sent. 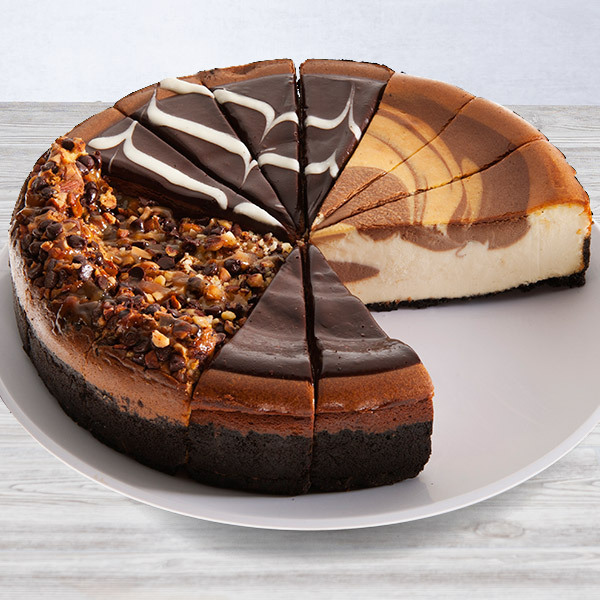 This is one of the best cheesecake. The receipients ranted and raved about how delicious it was. I tasted it myself and they weren't lying. It is delish!!!! Will definitely order again.